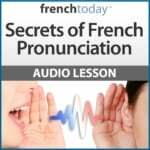 1 – What is “la Chandeleur”? La Chandeleur (on Feb 2nd), is a French holy day where most French households will eat crepes at dinner time. This tradition finds its origins in an old Roman ritual of harvest & fertility. 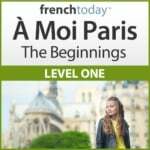 2 – What is the Difference Between “Une Crêpe” and “Une Galette”? Answering this question opens up a can of worms. 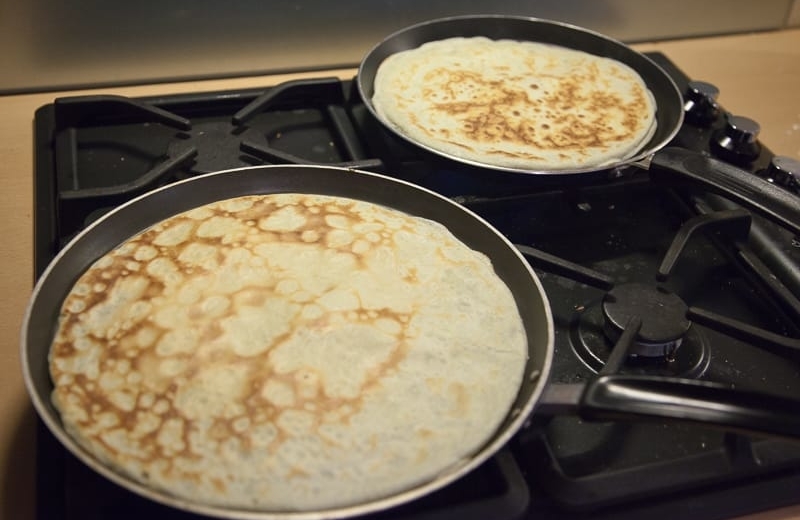 une crêpe = (white) wheat dough = very easy French pancake to make at home: can be garnished with savory or sweet toppings – see the recipe below. une galette – buckwheat dough = usually much larger, thin and crispy kind of French pancake which is made with a special baking tool and request a bit of training. But of course, most Bretons won’t agree on that, since for them, the name depends mostly where in Brittany you are from… And the size and thickness of the French pancake. Note also that the word “des galettes” can refer to cookies, especially in… Brittany!! “Les galettes de Pont-Aven” are quite famous. And then, there is also “la galette des rois”, the French King Pie. Finally, in Quimper, another place in Brittany, one of the many specialties is “des crêpes dentelles”: a dried crêpes with sugar folded up and sold like crispy and delicate cookies. Put all the ingredients except the butter in a large bowl and using a hand mixer, mix everything until smooth. The consistency of the batter should be like that of a thick syrup. 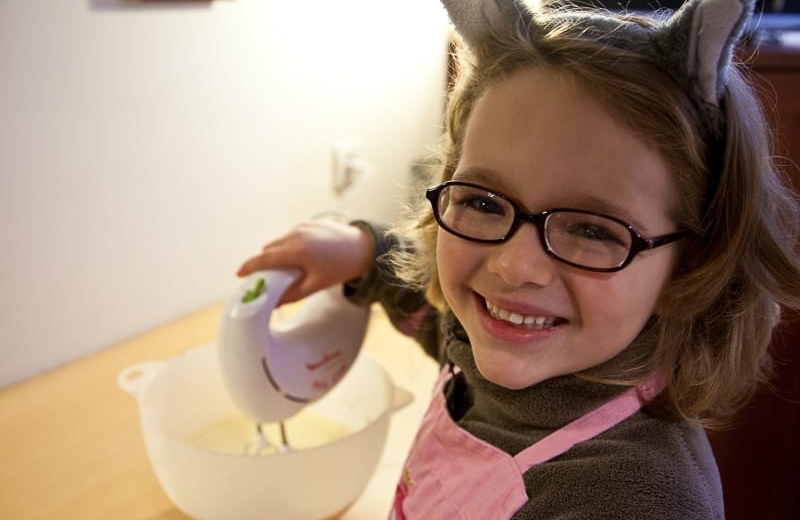 Ideally, you should let the batter rest for 30 minutes or so but if you are in a hurry or if it’s Sunday morning and the whole family is starving, then it’s ok to start them right away. 6 – How To Cook The Crêpes? Using the ladle, pour enough batter into your pan while turning your wrist so that the batter flows & covers the whole surface of the pan. Take care to not make it too thick, these are not pancakes! Once the edges of the batter start lifting and the crêpe does not stick to the pan anymore, it’s probably time to flip it. Let the crêpe cook for a minute more, then slide it to your warm plate/pan. Cover it with the kitchen towel and put the pan back in the oven to keep the crêpes warm (I also tend to sprinkle some water on the bottom of my oven to reduce the dryness of the heat). To make it easier on you, first, finish all your crêpes and keep them warm. Then you can get started on the savory preparation, the most famous and basic being the “œuf, jambon, fromage”. Usually, a French family will set up their whole sweet pantry on the table and let everyone make their own preparations. My favorite is sprinkling some powdered sugar, a little rum, flambé it and then a squeeze of lemon juice. YUM! DO NOT make crêpes for more than 5-6 people! Trust me, I once invited 12 hungry people for a crêpe dinner and I almost had a heart attack. The savory crêpes are usually made one at a time and the logistics do not follow. Throw away the first crêpe from each pan (or at least eat it). The first one is what I call the “Chef’s Crêpe” because it will look terrible and not be any good. After 20+ years of making crêpes, it’s always the case. Count about 2 savory crêpes per person. Depending on the number of people at the table, cook the last x number of crêpes less because they’ll have to go back into the pan. This way, you can avoid them being overcooked or dry. Make sure everyone at the table knows NOT to wait for the cook before they eat (against proper French table etiquette). Savory crêpes are ‘made to order’ and they will get cold by the time you are done serving everyone. 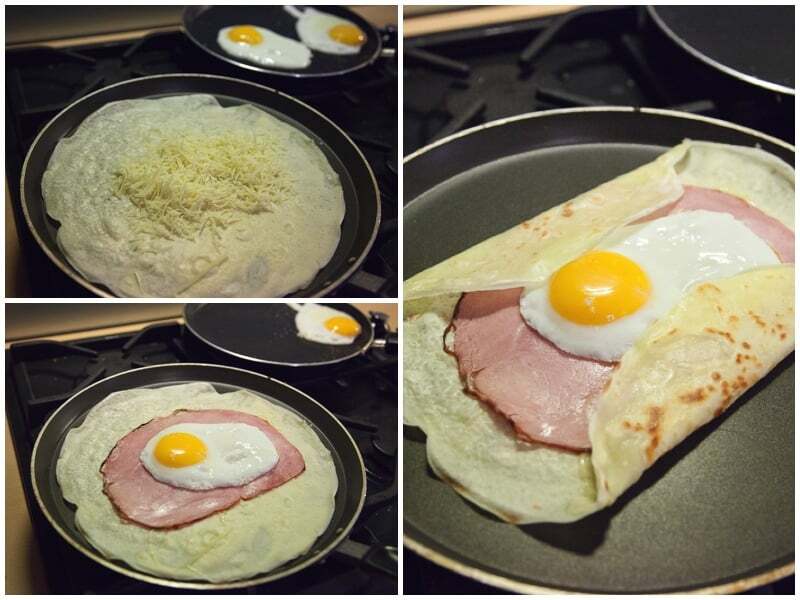 11 – Flipping a French Pancake is so Easy a Kid Can do it! And finally, some slow-mo flips, just for the fun of it! We told you it was so easy even Leyla could do it! 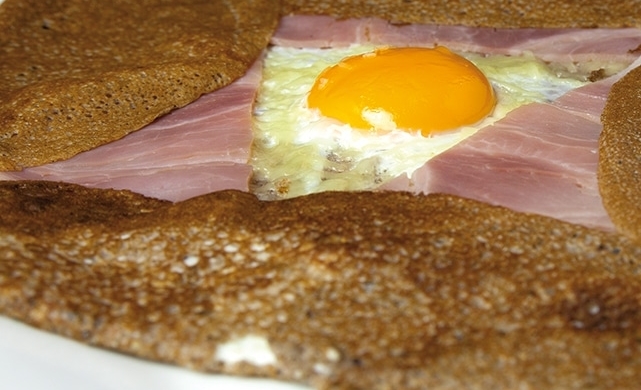 Une complète – a French savory pancake with a sunny side up egg, ham and cheese.